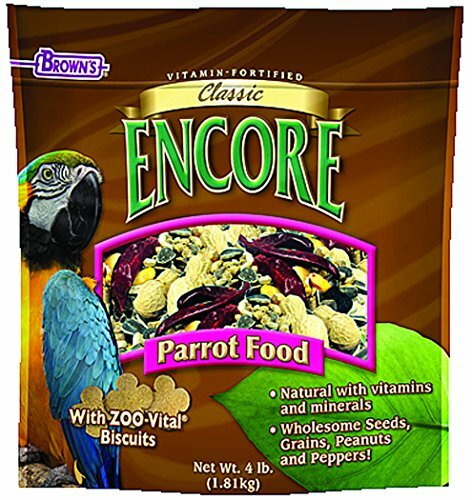 Our Encore Classic Food is a wholesome, natural daily diet with vitamins and minerals, specifically formulated for parrots. We've blended a variety of appealing flavors, textures and shapes to help relieve cage boredom and stimulate the natural foraging instinct. We're sure your parrot will love our food. It's simply a natural fit. If you have any questions about this product by F.M. Brown's, contact us by completing and submitting the form below. If you are looking for a specif part number, please include it with your message.